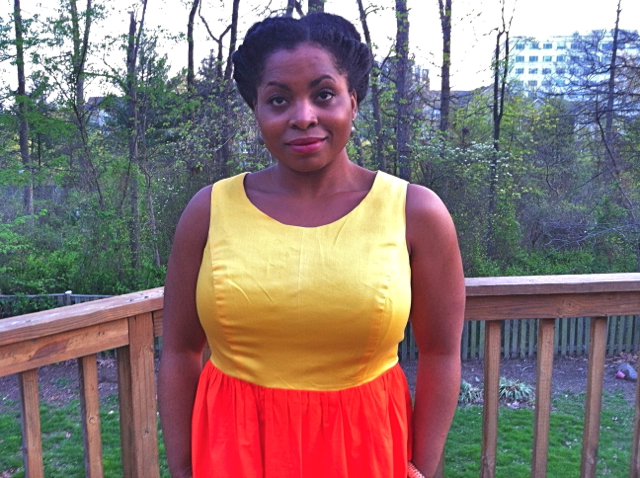 Last week’s Pantone Spring 2012 Color Palette Challenge gave me the chance to experiment with some colors I hardly ever wear: yellow and orange. Solar Power and Tangerine Tango to be specific. I also experimented with lining a sleeveless bodice. 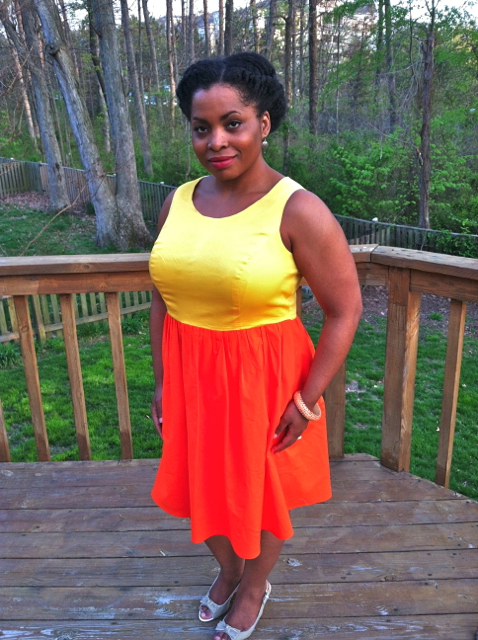 The dress debuted at The Sew Weekly on Saturday. Read more about it here. 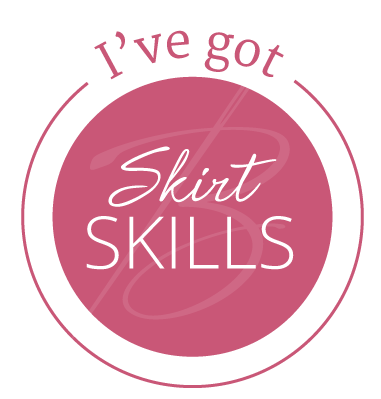 Some of the gals were kind enough to give me some styling advice for this dress, as I was pretty stumped by its brightness. I tried to default to neutral accessories, but it just didn’t work. Then, I tried Veronica Darling and Kazz’s suggestion to style it with BLACK. Enter: store-bought crocheted shrug, 2 yards of plaid chiffon from le stash (that may just get sewn into an infinity scarf), and a skinny black belt. With these add-ons, I just may have a rockable style for this neon spectacle. I’m still easing into the colors though, so it’d be ideal to have a few more looks for this dress if it’s going to do more than just brighten up my closet. 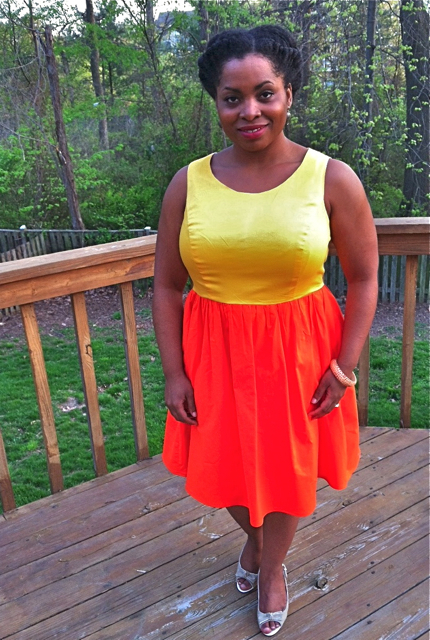 This entry was posted in Challenges and tagged color blocking, construction, inspiration, Kazz, lined bodice, najah-made, pantone, style, style advice, Veronica Darling. Bookmark the permalink. Ha! I’d be teaming it with a hot pink belt and shoes! 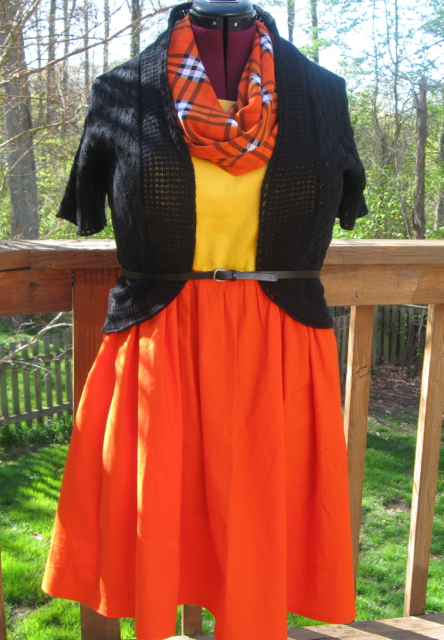 I love it, I just wish I could wear orange. Thanks for styling suggestion, Jenni! I’d probably have to go with turquoise. A big necklace or a bracelet, and shoes. Turquoise was one of my first instincts, too….a big chunky statement necklace of some kind maybe. Thanks for the idea!